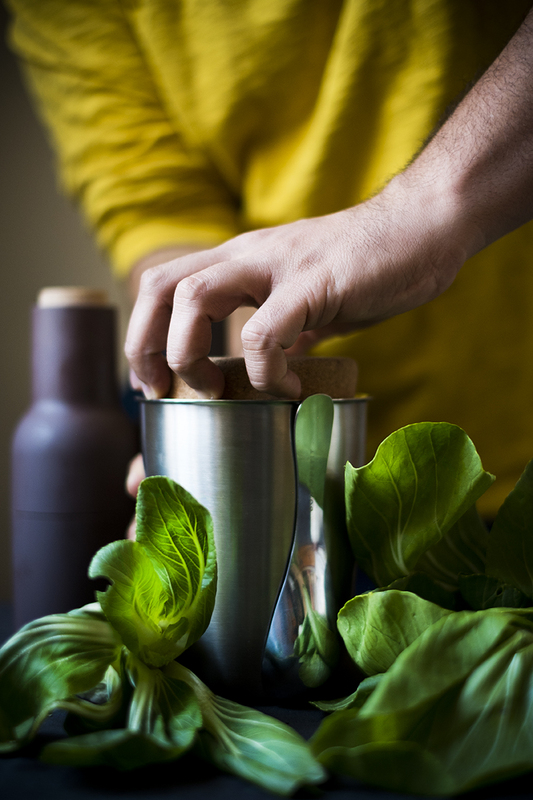 The art of making do: using Chinese cabbage for an Italian recipe. One of the least exciting aspects for a Sicilian living abroad is that of having to give up a variety of vegetables that you don’t even know what name they would have in other countries. Vegetables that for a lifetime you had taken for granted that they were easy to find and that they were now also part of your genetic heritage. One of these is the “tenerumi”. I’ve always loved this word because “tenero” in Italian means tender. In fact, they are very soft and sweet leaves and shoots of the long squash plant. This vegetable is very long and slender and can be used to make creamy risottos with potatoes and onions. The leaves and the shoots are, instead, used for the soups. During the Summer this plant reaches its maximum glory of a dazzling green-lawn and this delicious soup that is consumed both hot and cold. A tomato sauce, the twist of this recipe, is usually prepared to be added to the soup, together with cut spaghetti and cubes of “caciocavallo” cheese that melts in your mouth. In this vegan variant, we will renounce this addition, but you can use any vegan cheese. The main problem, however, is that in Berlin it is impossible to find this vegetable. 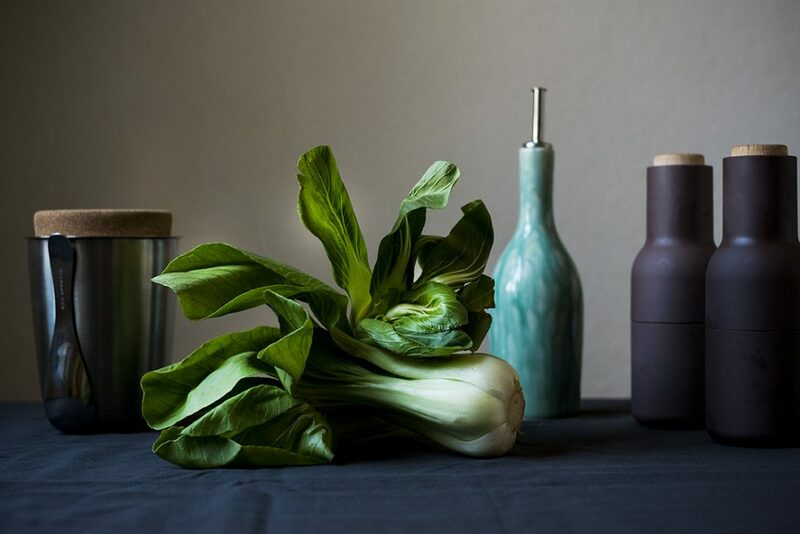 I have made several experiments and attempts to recreate the flavors of this recipe and have come to the conclusion that the vegetable that most emulates the dynamics of this dish is the Chinese cabbage pak choi: it has a translucent stem and wide leaves, sweet and tender. So, for all those who can not get the original leaf, try this version and you will see that the flavors will be very similar! This soup is so fast to prepare that sometimes I like to take with me to the office for a warm and comforting lunch: I pour it on my beautiful thermo pot by Black+Blum, that is totally leak-proof, 500ml of soup is perfect for my meal and it keeps it hot until 6 hours, it has a stainless steel spoon that stays in place with the magnet. If you missed my previous posts about Black+Blum, then read the one about the food flask and the lunch box: they literally changed my way to organize my to go meals and design my own diet! meantime sauté the garlic cloves on a pan with olive oil for about 5 minutes. add the tomato sauce and let it cook for about 10 minutes, add salt and pepper. bring to boil and add 1 tbs salt and the cut spaghetti, let it cook for 3 minutes. serve with fresh olive oil and pepper.